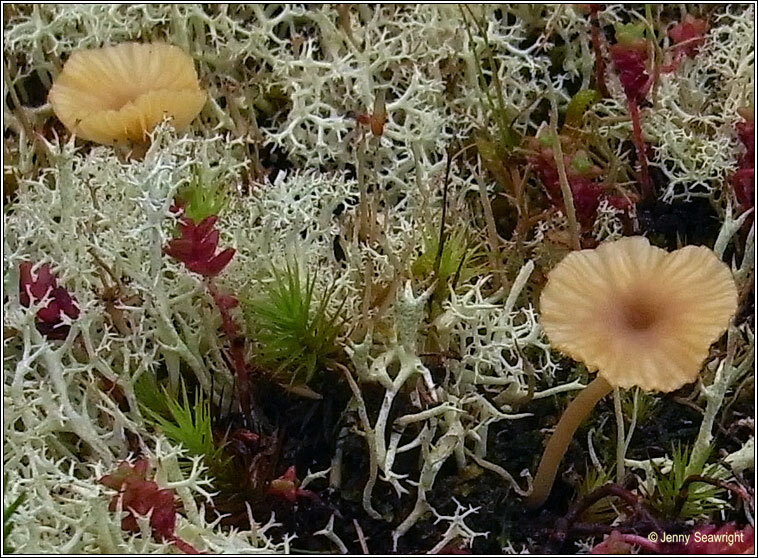 Lichenised thallus granular, fruiting bodies are non-lichenised. 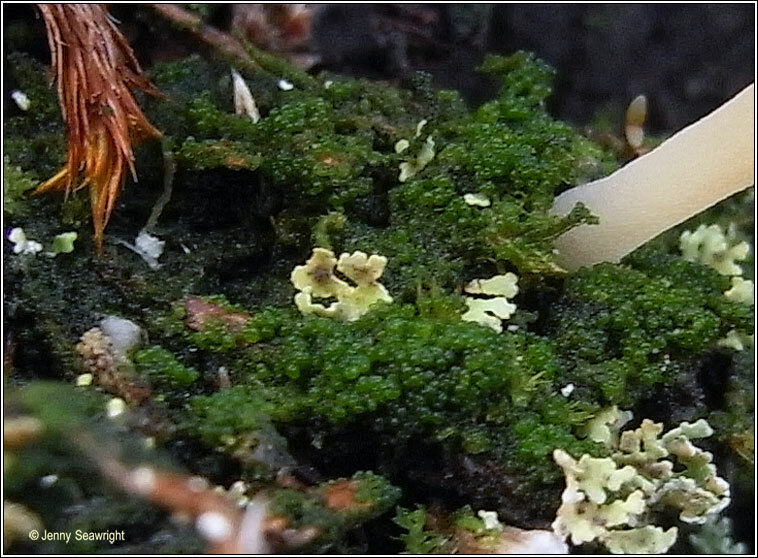 Thallus of small, clustered, dark green granules, to 0.25mm. 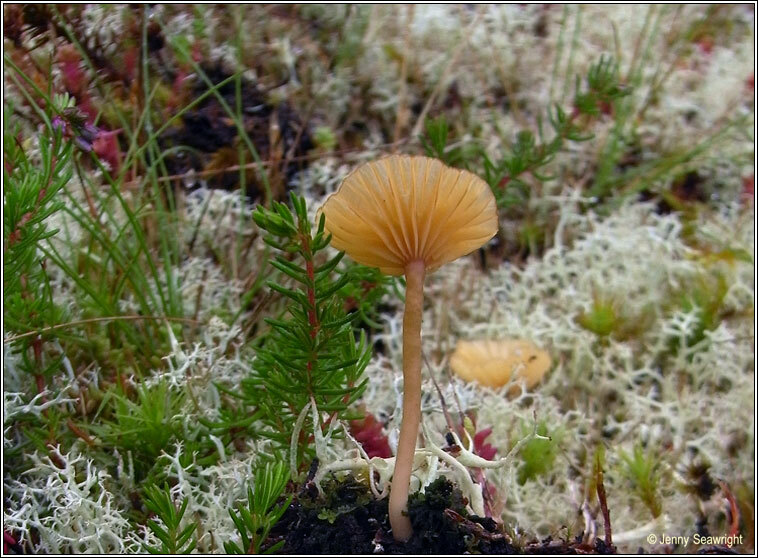 The cap is variable in colour, brownish becoming yellow-brown, straw coloured or whitish, often with radiating darker lines. Margins are entire or crenulate, gills broadly decurrent, pale cream or whitish. Upper stem is finely pubescent, lower stem tomentose. 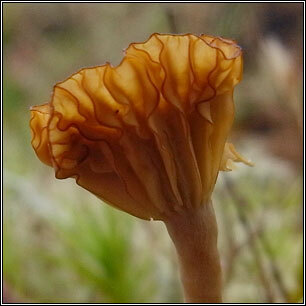 Found on soil, peat, rotten tree trunks and wood and among damp moss and grass. Chemical reactions negative. 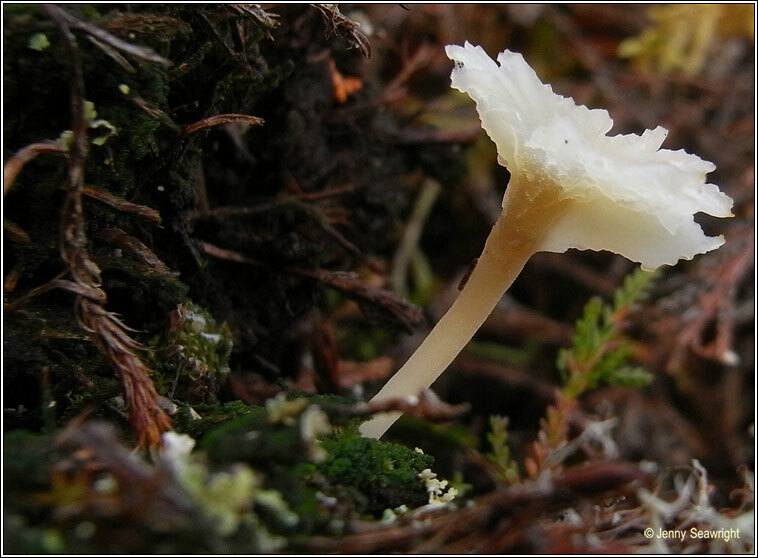 Similar: Lichenomphalia hudsoniana. 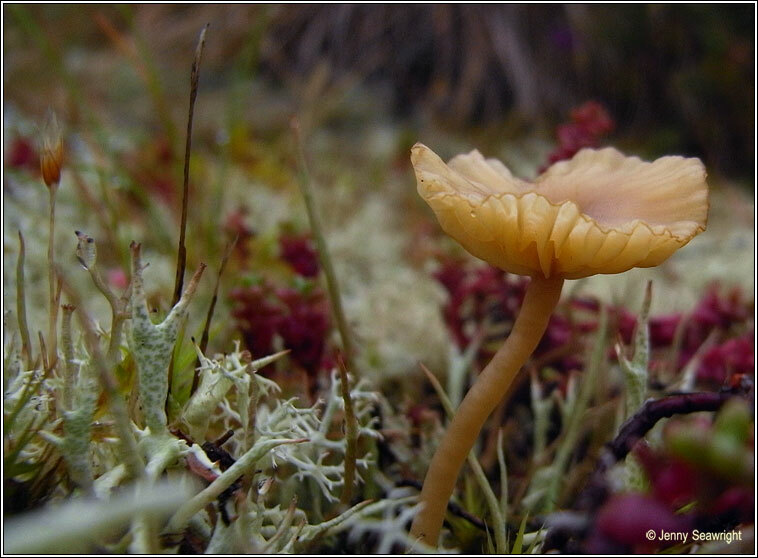 Squamulose thallus.